The Seamless Loft is a guest bed on top of a walk-in closet. 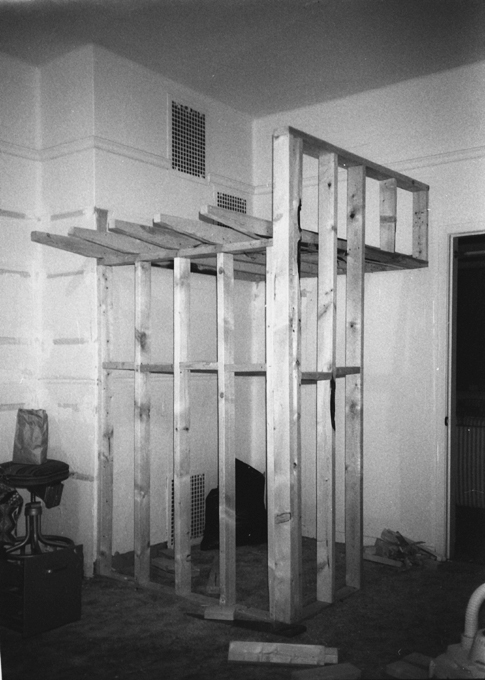 2 x 4 ‘balloon frame’ structure of loft during construction. I designed and built the Seamless Loft in 1992, when I lived in Edmonton (Canada) in a schoolhouse that had been converted into large, high-ceilinged apartments. The Seamless Loft is a guest bed above a walk-in closet in a room used as a studio / home office. Edmonton’s extreme climate requires dwellings to contain ample storage space, which this former classroom didn’t have. The loft structure is a ‘balloon frame’ clad in MDF and gypsum board. 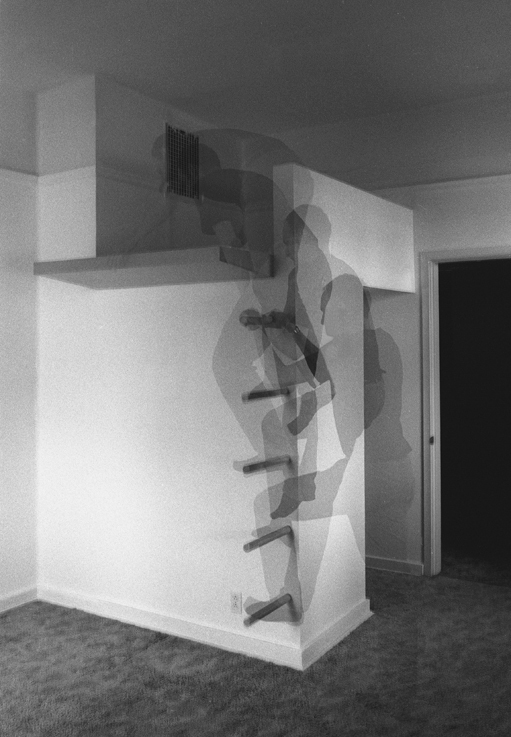 The cantilevered ladder rungs are hardwood dowels embedded in the stud-wall. The Seamless Loft was cited by Myron Nebozuk in an article titled ‘Canted Planes’ in On Site Review #23 ‘Small Things’.